This is one of my favorite long sleeve tees - and it is 50% off. I bought it in 2 colors. This is the softest v-neck tee - and is it only $12. 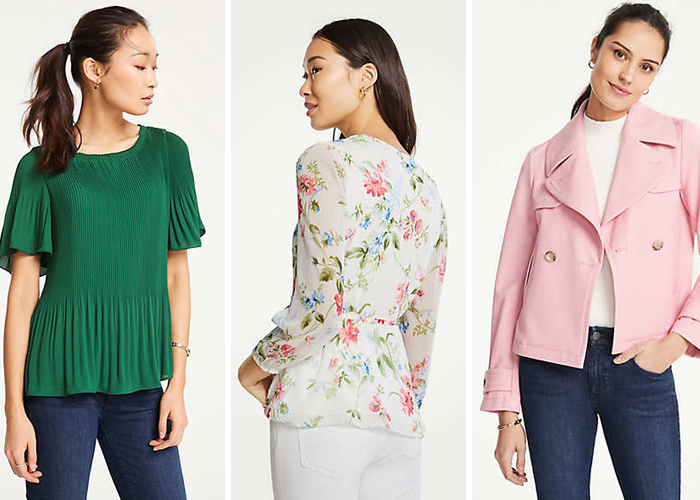 This spring jacket - great for running errands and looking trendy - and it’s 40% off. This cap sleeve tee is great on its own - or layered under a blazer - and it is 50% off. This long cardigan is one of my favorites - and it is 40% off. A pair of flattering skinny jeans - like these jeans that are 40% off - and under $60. These comfy slip on sneakers for 30% off. A updated pair of work wear pants - like these pants that I just bought on sale! A fun work wear blazer - like this textured tweed blazer for a great price! This classic blazer for 40% off. This perfect summer sundress that is 40% off. These ankle booties on sale for only $40 - and available in three colors. This basic tank for only $5 - and available in several colors. This cute lace top for only $17 - available in two colors. These fun and trendy pants for only $17! I want to buy them. I still love that camo coat with some pink in it! 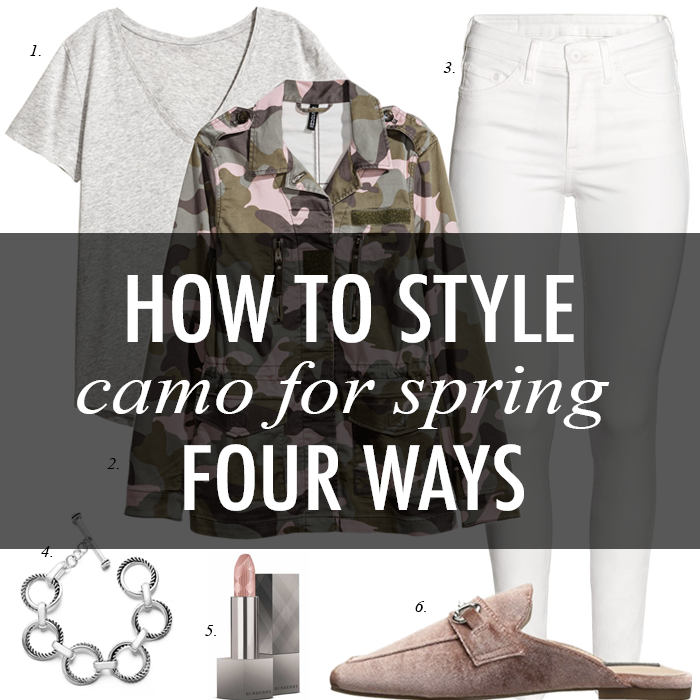 Such fun and stylish ways to wear camo - I love it! I think I need that gray tank - great option for warm weather! I am also surprised at how long camo print has stayed around, but I'm glad it has! It really is a great neutral. I'm loving it with the white jeans in these outfits. Also that backpack is soooo cute. I'm so happy the camo trend has stuck around! I love all of this inspiration! That second coat with the pink is so cute!